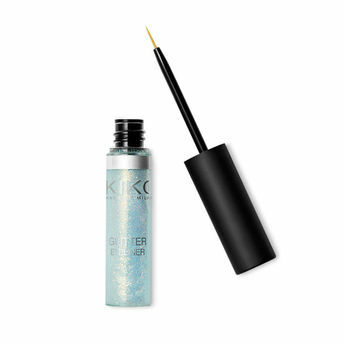 Kiko Milano Glitter Eyeliner is an eyeliner gel with glitter with glide-on application for a radiant line. This eyeliner may be used alone or as a top coat over your eyeliner, eye shadow or eye pencil. Available in 2 color varieties: multicolor or silver. Alternatively, you can also find many more products from the Kiko Milano Glitter Eyeliner range.